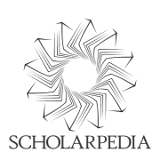 F. Silva, L. Correia, and A. L. Christensen (2016), “Evolutionary Robotics”, Scholarpedia, 11(7):33333. M. Duarte, V. Costa, J. Gomes, T. Rodrigues, F. Silva, S. Oliveira, and A. L. Christensen (2016), ”Evolution of Collective Behaviors for a Real Swarm of Aquatic Surface Robots”, PLoS ONE 11(3):e0151834. IJ21 J. Gomes, P. Mariano, and A. L. Christensen (2016), ”Challenges in Cooperative Coevolution of Physically Heterogeneous Robot Teams”, Natural Computing, in press. Also, the paper ”Leveraging Online Racing and Population Cloning in Evolutionary Multirobot Systems” received the Best Paper Award at the EvoRobot conference earlier this year, while the paper ”Cooperative Coevolution of Control for a Real Multirobot System” is nominated for the Best Paper Award at this year’s PPSN conference!